Donors are a pesky bunch huh? You get them to make a donation, (no mean feat in itself) but can you encourage them to give again? Can you heck. Retention of new donors is a tricky one. Say you keep 20% of your new donors. You pat yourself on the back – you’re doing well with a difficult group. No. What you should be saying is ‘what on earth happened to the other 80%?’ Did they not feel their gift was appreciated? Did they think we spent their money unwisely? Did we even tell them how we spent their money? Are they (shudder at the thought) bored of us? We all know that to grow loyal donors we need to make donors feel loved and valued. But what are some practical steps we can take to make that happen. Here are a few ideas. This is one of my all time favourite images. I promise you, it's nothing to do with the Titanic. This image is what I have in my mind when I'm talking about a Case for Support in Major Gifts (or any) fundraising. 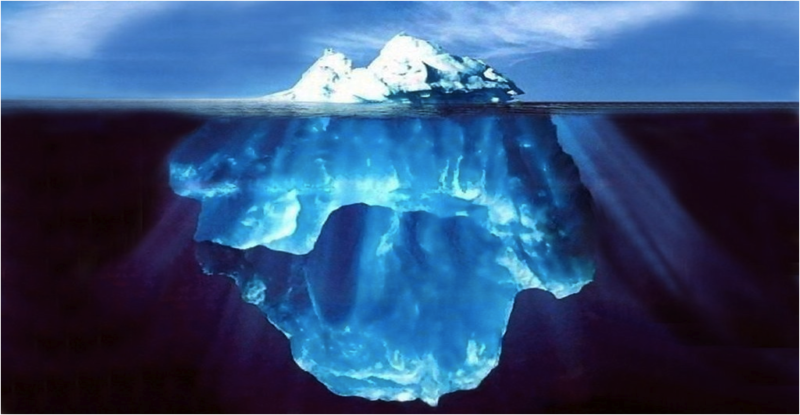 The top part - the tip of the iceberg - is what your donors see. The rest is what YOU see: the Internal Case for Support (1). That comprises a huge portfolio of material: interviews, reports, costings, strategy documents, surveys. It's the vast body of information that helps to support and define your project. This is a standard interview question for a Major Gifts role. I have sat opposite any number of candidates and asked this question, but deep down I don’t think it’s a very good question. It’s the phrase you see. Making the Ask. Sometimes I think that the phrase Making the Ask is the main source of the Major Gifts fundraising skills shortage. It strikes fear into people’s hearts. It suggests special technique or a killer moment, something shrouded in mystique and held up as a highly prized grail. Which is, as it happens, a whole load of nonsense.